The FM Area Diversion Project is slated for $20 Million in federal funding through the U.S. Army Corps of Engineers work plan for fiscal year 2017 (FY2017). The Project previously received a “new start” and $5 Million in federal appropriations for construction in the FY2016 Corps work plan. The FY2016 funding is being used for construction of the Diversion Inlet and Control Structure south of Horace. The federal government has committed to a total of $450 Million in construction appropriations toward the FM Area Diversion Project. Read more. For more information about the financial plan visit www.fmdiversion.com/how-is-it-funded/. For more information about the U.S. Army Corps of Engineers work plan visit http://www.usace.army.mil/Missions/Civil-Works/Budget/. 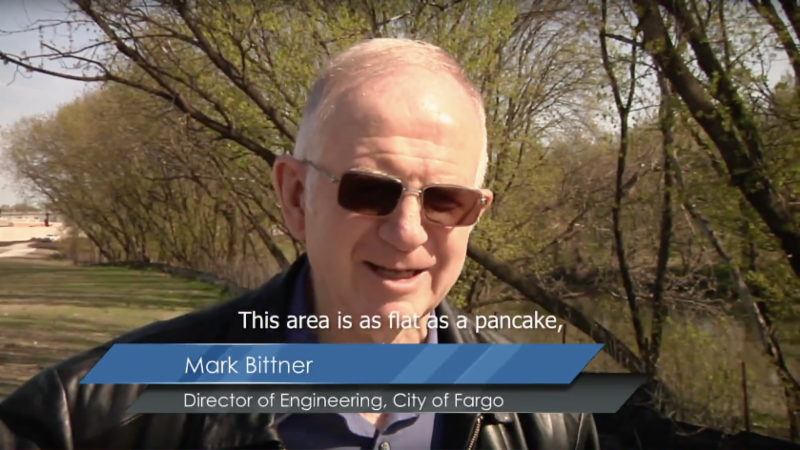 Fargo City Engineer Mark Bittner discusses the Project, why it is important and why he works on it. Read and watch Mark's story.